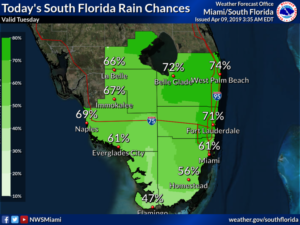 Rain has returned to South Florida as a front moves through on Tuesday. The day features clouds and showers, with some afternoon storms in spots, with activity tapering off overnight. Gulf coast beaches will see an elevated risk of dangerous rip currents on Tuesday. 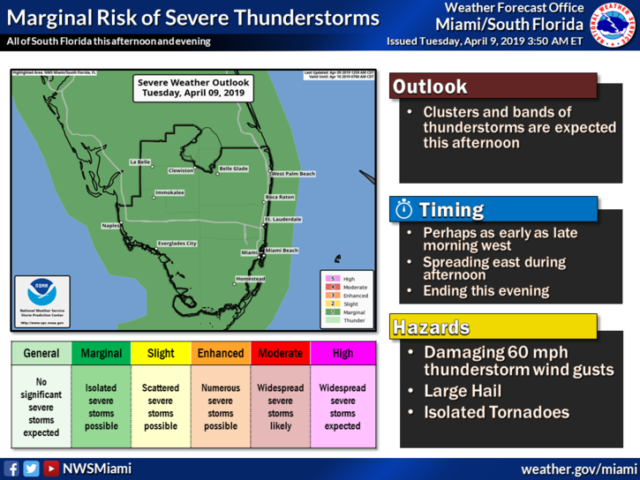 Highs on Tuesday will be mostly in the mid 80s. 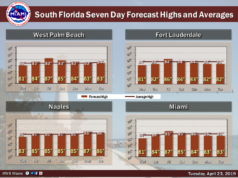 A record high temperature was tied yesterday at Naples, with 89 degrees. The previous record was from 2015. 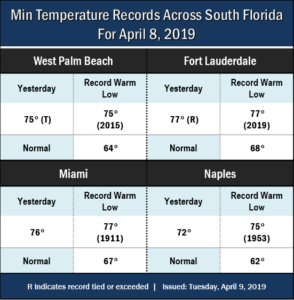 This is the 3rd straight day of record high temperatures at Naples Airport. Clouds and chances for thunderstorms should keep temperatures from approaching more records there today. 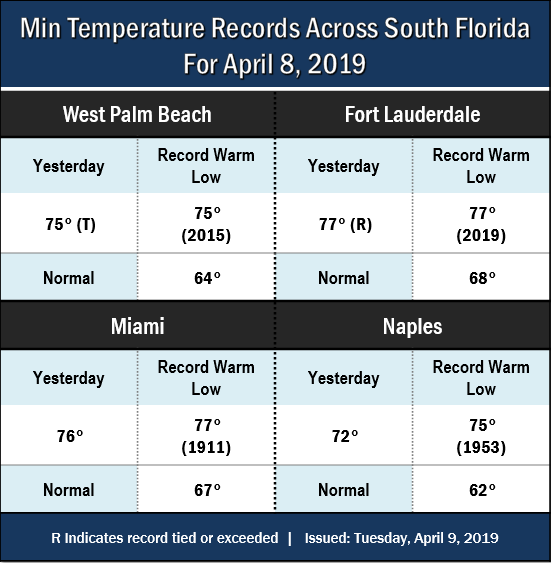 Even more temperature records were set yesterday, including a new record warm low at Fort Lauderdale (77), and a tied record warm low at West Palm Beach (75)! Wednesday will bring a few east coast showers along with sun and clouds. 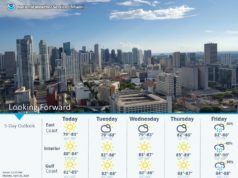 Wednesday’s highs will be in the mid 80s. Look for plenty of sun and a few clouds on Thursday. 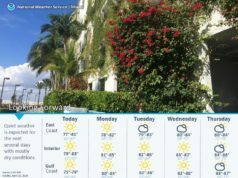 Thursday’s highs will be in the mid 80s. 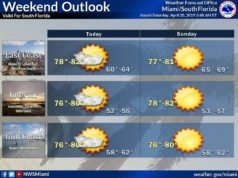 Friday will feature mostly sunny skies. Friday’s highs will be in the mid to upper 80s. The forecast for Saturday includes a mix of sun and clouds with passing showers in spots. 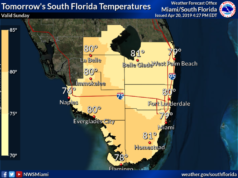 Highs on Saturday will be in the mid to upper 80s.